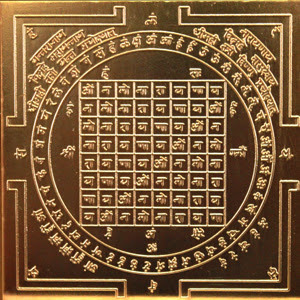 The general meaning of the word yantra is “a machine,” or an “apparatus” and so in this sense, a washing machine, a television or even a computer is a yantra. In a religious context, a yantra is a symbolic diagram that represents a Deity and is used primarily for puja and meditation. Yantras are generally inscribed onto thin copper or silver plate that shows a geometric shape, often with some numbers or even the inscription of a Deity. Virtually every Deity will have a yantra. Thus it is common to find Narayana yantras, Lakshmi or Shri yantras, Nava Graha yantras, Durga yantras, and so on. A yantra is used in much the same way as a murti or sacred image is worshipped during puja. Yantras have other uses as well. They are often placed underneath a sacred image when it is newly installed into a temple altar. 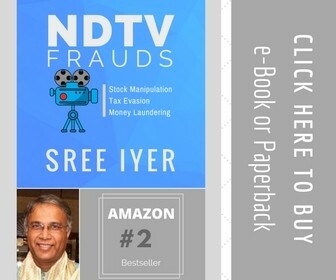 A Shri yantras, (the yantra for the Goddess of wealth and prosperity) or a Ganesha yantra (for good luck) is often kept near one’s checkbook or business books. 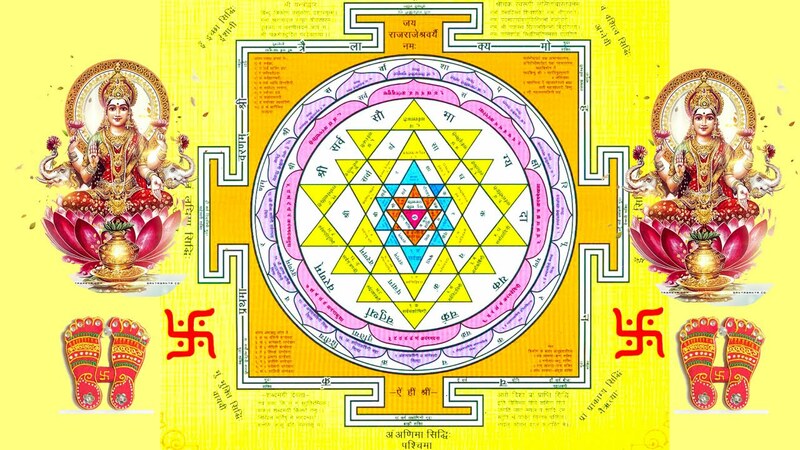 Yantras are often used in astrology. 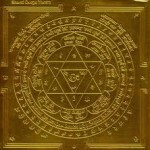 If one needed to boost the influence of a certain astrological influence, the yantra for that planetary influence may be worshipped and kept on a family or personal altar. Yantras are sometimes placed above doorways or near entrance ways to homes and other buildings. See the illustrations of some typical yantras.